Enter to win a Big Green Egg. From now until Friday July 27th, buying Camacho Cigars at Havana Manor will enter you to win a brand new Big Green Egg & receive free cigars. 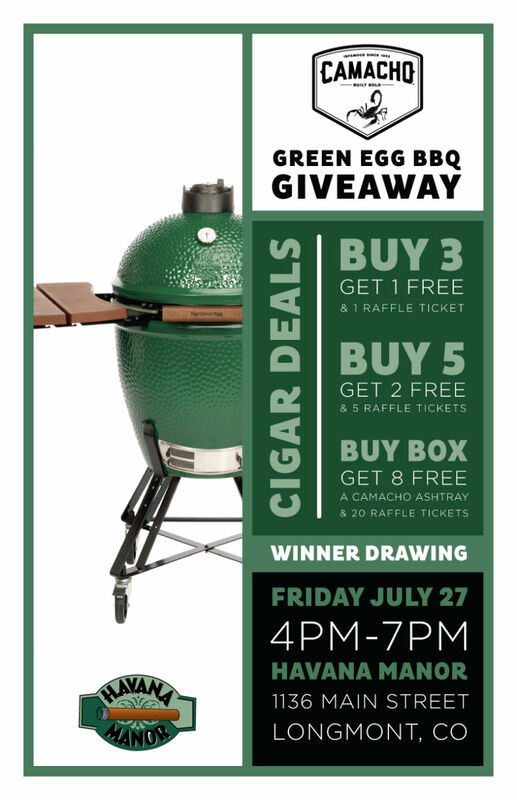 This will be concluded with a Camacho Cigar Night on July 27th where a lucky winner will be drawn to receive the Big Green Egg. This entry was posted in Uncategorized and tagged Big Green Egg, Camacho. Bookmark the permalink.